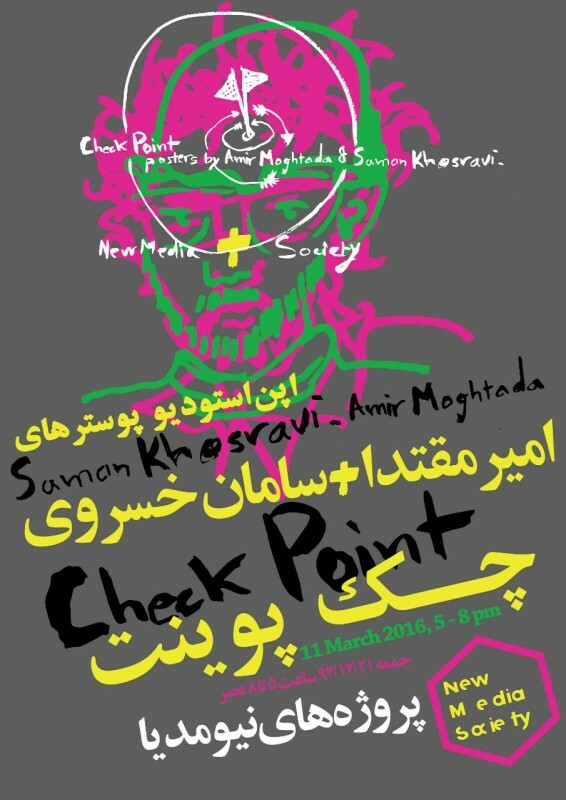 Amir Moghtada & Saman Khosravi during the years have been designing cultural posters with exemplary passion and unique quality. Selflessly supporting independent projects and small galleries, they made a great contribution to expansion of their activities. While the differences in their approach in forms & style mark signifies their vibrant visual worlds, their strong point is distancing themselves from corporate graphic designs and working in their small studios despite the obstacles of being independent thinkers and designers. New Media Project room to pay respect to their efforts for expanding borders of our imagination and in the light of our recent collaboration with them, will be host checkpoint: poster their open studio at New Media Society. Join us to meet them and look at their colorful posters and get to know how they are made.